I’ve done a series of successful Book vs. Movie programs with grades K-6. 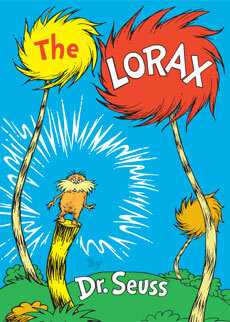 Here’s another one: Read the picture book The Lorax to the children. That way there is no requirement to watch the film to participate in the program. If a word, phrase, or character comes up that they didn’t hear in the picture book, then it came from the movie. For more Book vs. Movies ideas click here. For more after school ideas, check out Tiny Tips for Library Fun. Marge is hosting this month’s Thrive Thursday (learn how you can participate!). We also have a Pinterest board and a Facebook Group, so join in on the fun! This entry was posted on April 25, 2014 by mrsshaia in After School Library Programs, Book vs Movie, Thrive Thursday and tagged After School Library Programs, Book vs Movie, Thrive Thursday.